The MAD-501P is a measurement system, which includes a large number of different, partly expanded, acoustic standard measurement scenarios. 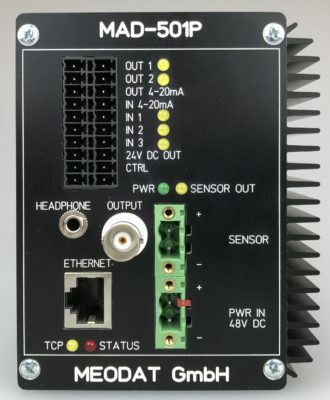 as well as the possibility of detecting and analyzing the behavior of technical devices or spatial objects on certain acoustic / vibration-related events generated by the MAD-501P itself. 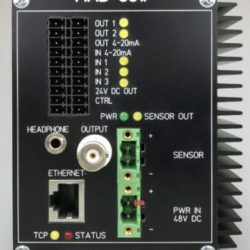 In version MAD-501P2 the device has a second sensor input. 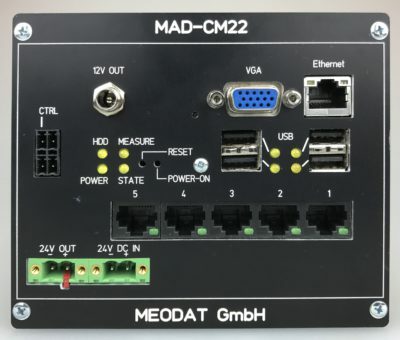 Via this input, a plurality of current active and passive measuring sensors can be adapted and incorporated into the analysis process of the basic device MAD-501P. 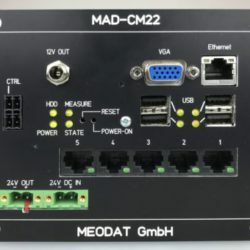 The listed functionality allows the production of the measuring system MAD-501P in an OEM version so that the user can design the final use in his own responsibility. A corresponding software and user interface structure provides the necessary parameterization support.